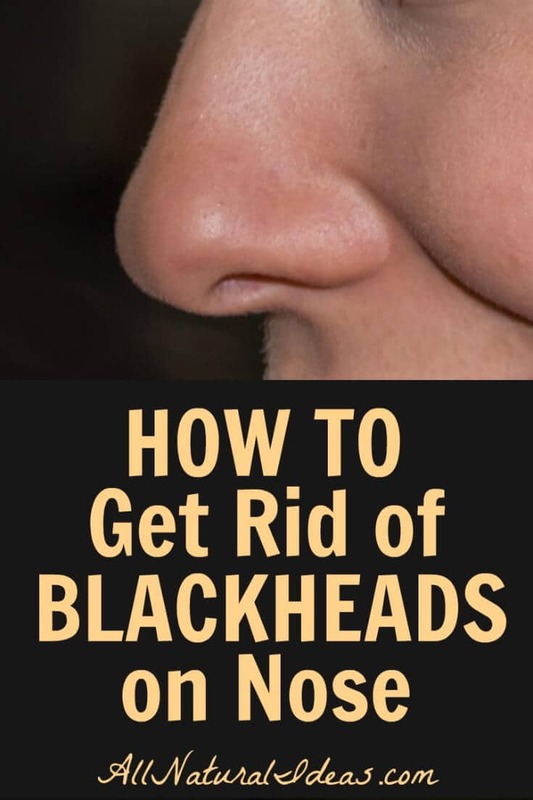 Are you struggling with how to get rid of blackheads on nose? This form of acne can be prevented and treated using a variety of all natural solutions. Having blackheads can ruin your confidence. Nobody’s going to want to get near your grill if there’s a cluster on your nose. At least, that’s what you might think. The good news is that it’s not that hard to get rid of them. All it takes is a little understanding of nutrition and tweaking your skincare regimen. Let’s start with hormonal imbalance. Chronic stress can elevate your cortisol levels. Cortisol is your stress hormone. When you have cortisol constantly flooding your bloodstream, it can disrupt your other hormones. Blackheads on your nose could be symptomatic of hormonal imbalance. Adaptogenic herbs can help your body recover from stress and control the amount of cortisol that’s released. Over time, adaptogenic herbs may help normalize hormonal levels. High-glycemic diets and pasteurized dairy products can also cause blackheads on the nose (or elsewhere in the so-called “T-zone”). High-glycemic means lots of sugar and other foods that cause a rapid rise and subsequent crash in blood sugar. How are blood sugar and blackheads on nose related? Excess sugar is toxic. Toxins have to be released somehow. An easy exit for toxins is through the pores. And as far as dairy foods, especially pasteurized dairy, they can promote inflammation in the body. 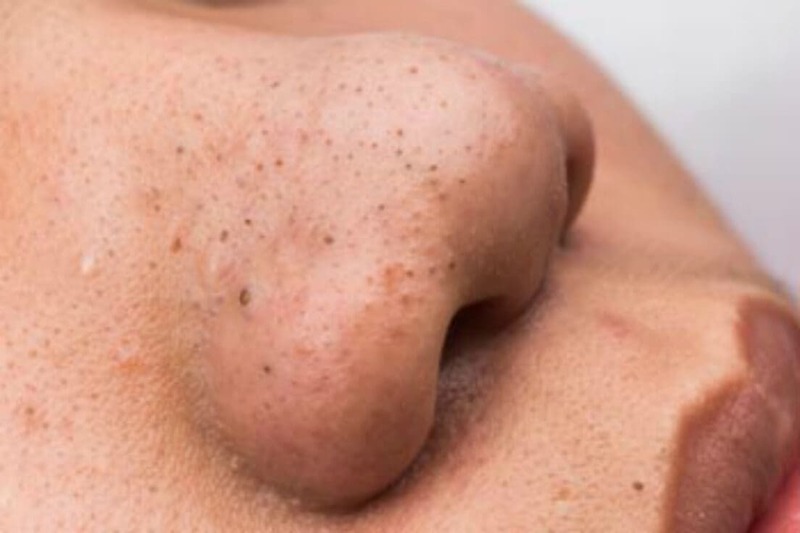 Blackheads on the nose are just one symptom out of many, of inflammation. Though it might come as a surprise, low-fat dairy is worse for blackheads on the nose than full-fat dairy. Low-fat dairy tends to be higher in sugar and is more processed. Using non-organic cosmetics (facial cleaners, soaps, etc.) can also produce blackheads on nose. Non-organic cosmetics contain chemicals. Chemicals may be effective at temporarily getting rid of acne. 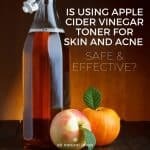 But in the long run, these toxic ingredients end up drying out your skin, leading to more acne and blackheads on your nose. Your skin should be naturally oily, not dry. If your skin feels excessively oily, it’s just your body’s way of trying to compensate for being dry. It’s worth repeating that toxins look for an easy escape route. Clogged pores are just your body’s way of getting rid of toxins. Instead of using astringents and soap, try just washing your face with purified water or rose water (or water containing a few drops of another essential oil). Follow it up by rubbing some coconut oil on your face. Or better yet, try babassu oil. It’s a close relative of coconut oil but it’s less greasy (though harder to find). If it’s hard for you to wrap your head around the logic of using oil for an oily face, just go with it. The oils on your face aren’t the problem. The problem is the toxins that are created internally, from poor diet, stress and your beauty products. 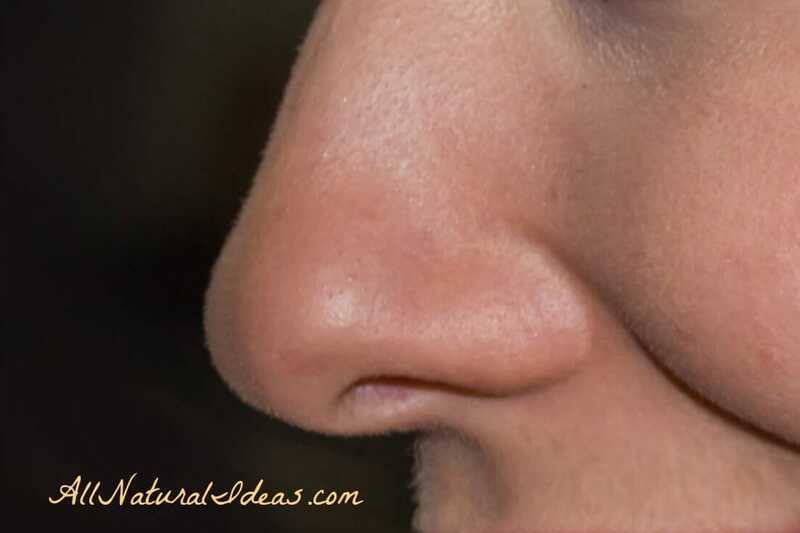 Having blackheads on nose are a window into the inner workings of your body. If you have them, it’s an indication most likely that your liver is sluggish in detoxifying. Correcting your body’s internal health will take a little time. Your liver isn’t going to be a phenomenal detox machine overnight. And let’s face it, we’re only human and are concerned about how we look on the outside. Blackhead nose strips are a safe external solution for blackheads. The problem with blackhead nose strips is that they remove dirt and oil. As mentioned above, oil isn’t the enemy. But if you have a formal event coming up and want to look your best for the big event, these strips can be used. Just don’t rely on them for the long term instead of correcting internal imbalances in your body. Squeezing blackheads on your nose is a no-no. 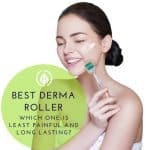 Though it might make you feel better in the short-run to get rid of blackheads, it’s a bad decision for the future. You can create microscopic tears under the skin by squeezing. And although microscopic implies that you can’t see the tears, because they are small, your nose could in fact visibly suffer. These tears cause inflammation and scarring. The scarring could be permanent. Blackheads, or comedones, as they’re scientifically known, are just one form of acne. 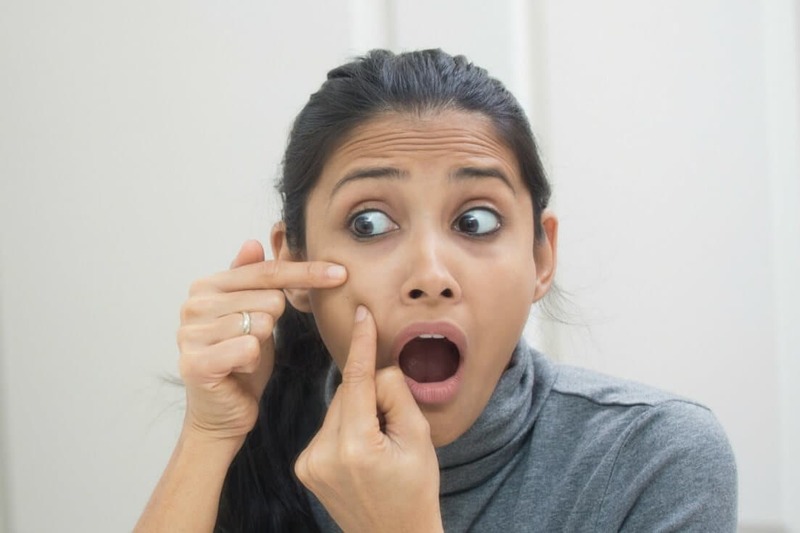 If you want to ban blackheads permanently, retinoid medicines may work. If you prefer an all-natural solution, you can adopt the lifestyle changes suggested above. You can also make it a nightly ritual to use natural substances to make a mask. 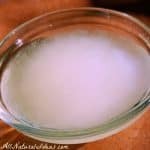 In addition to using coconut oil or babassu oil, there are lots of other things you can rub on your blackheads. 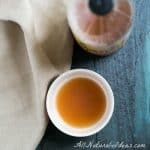 Baking soda, honey, oatmeal, apple cider vinegar, magnesium sulfate (Epsom Salt), and lemon juice are just some of the natural substances that can help fight blackheads. Mix the baking soda and Epsom Salt with warm water. The bottom line when it comes to removing blackheads permanently: improve the internal environment of your body. Eat natural foods. Watch your sugar intake. Take probiotics. Don’t drink alcohol excessively. Get at least 7 hours of sleep at night. Manage stress. If you have the money, visit a naturopath or natural health expert that can test your hormones. Take supplements, if necessary, to correct hormonal imbalances. Use organic beauty products. 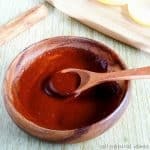 Consider taking a liver-cleansing supplement. And last but not least, do not dry out and squeeze your blackheads!